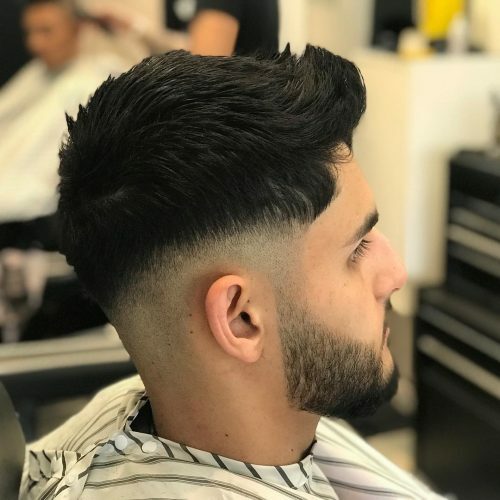 Haircuts with short sides and a long top are what every modern man is sporting today, mostly because of its edge in giving the hair amazing lift and so much versatility in styling options. 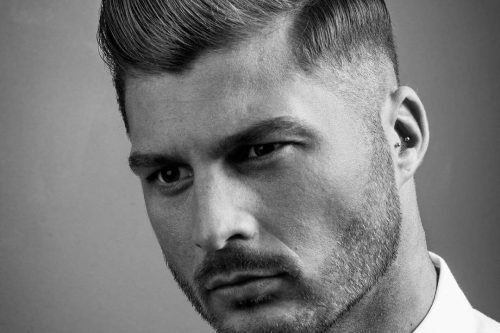 Brush your hair back, go for a polished pomp, or rock a hipster undercut – you name it! With just a bit of wax or gel, you can tame and flaunt your straight, wavy, or curly strands prominently. 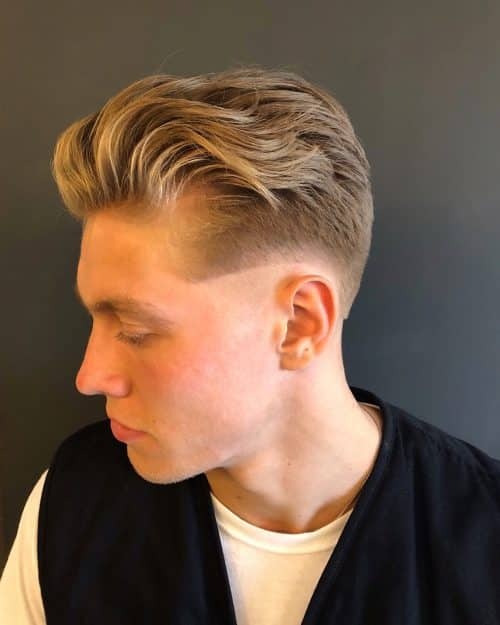 Shaved or faded sides let you add some real stark contrast and a modern laid-back touch to your appearance while your top hair runs free. 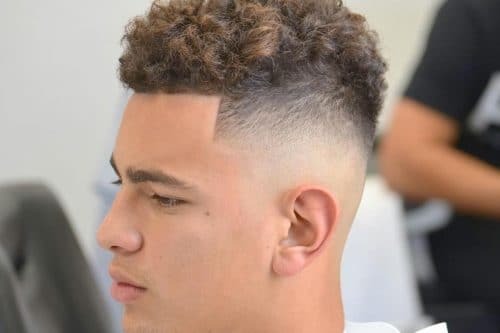 Clean sides not just allow your strong facial features to stand out for a cool masculine vibe, but they also lessen the maintenance and barber visits needed. 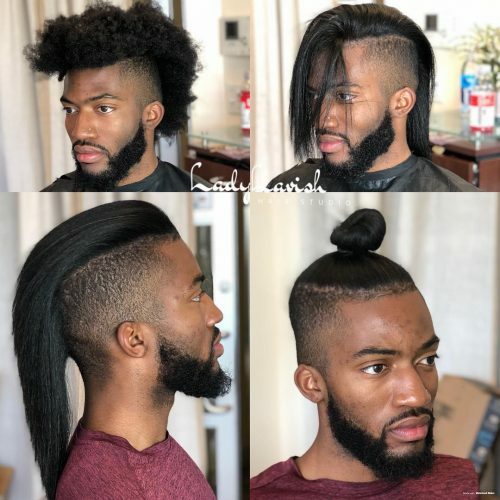 If you desire a hairstyle that is all about volume, length, and supremacy, you better keep on scrolling down for the most impressive looks with short sides and longer hair on top. 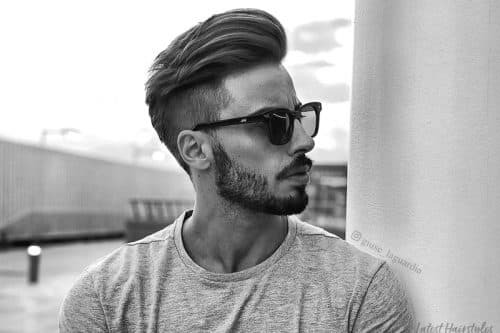 Draw attention to a perfectly sleek, high man bun with a strong high fade. You would surely be the life of the party with this style. 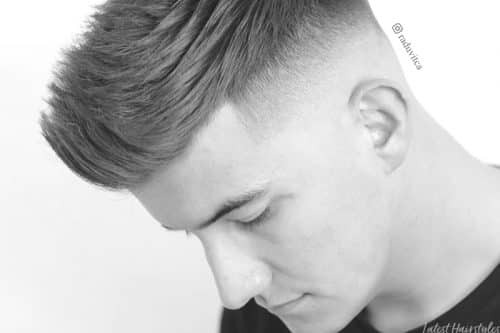 Balance is key to achieving this crisp and cool cut. 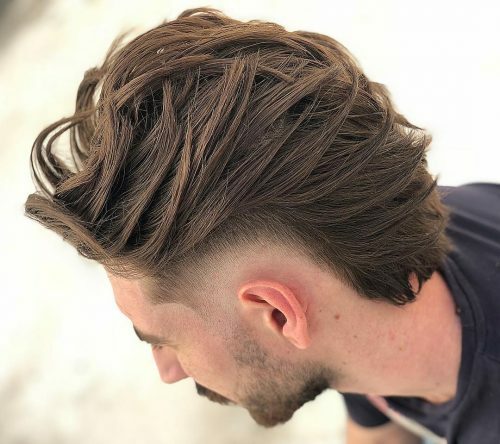 A little bit of mess and texture on top plus a sharp disconnection equals a dapper gent look. 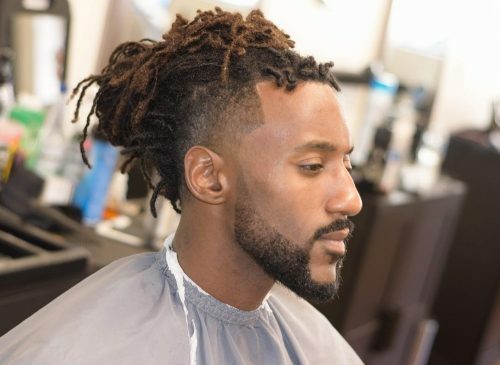 This hot style on dreads is one of the best hipster looks you can try. Pair with a beard and clean sides for a rugged gent look. Leave your hair on top with epic upward spikes. 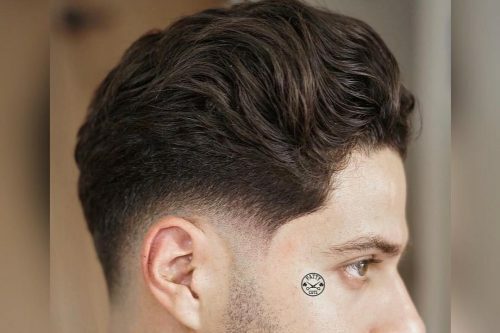 Just make sure to use your best stylist-approved hair gel or wax for maximum hold! 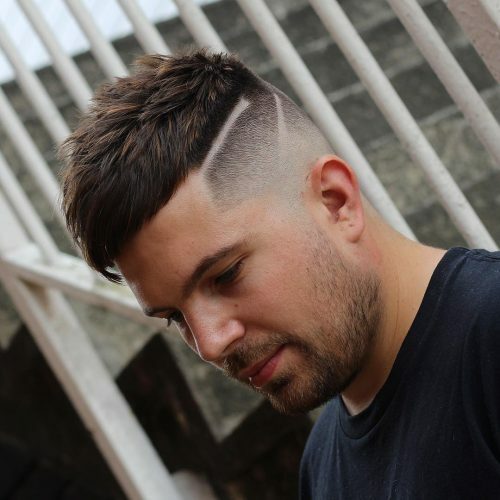 A well-textured on-trend short sides long on top haircut like this will definitely bring you to places. 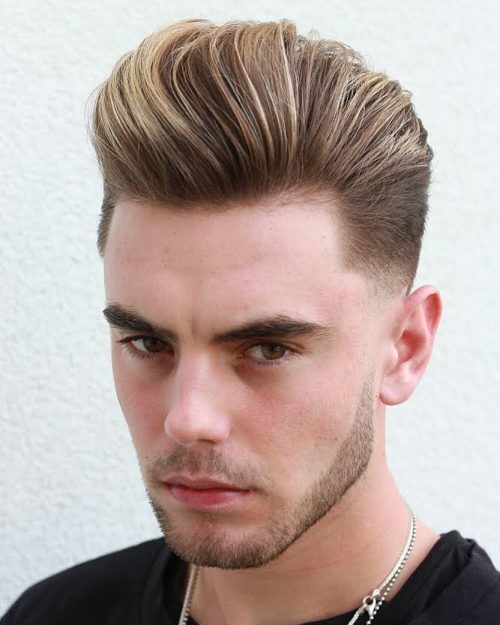 It combines groomed and punk at the same time and gives lots of versatility for styling. 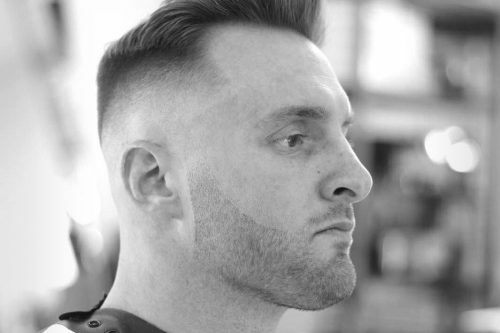 One style you can create with an undercut is a combover to one side. This especially works on long hair regardless of texture. Stand out from everyone else with a bold haircut like this. 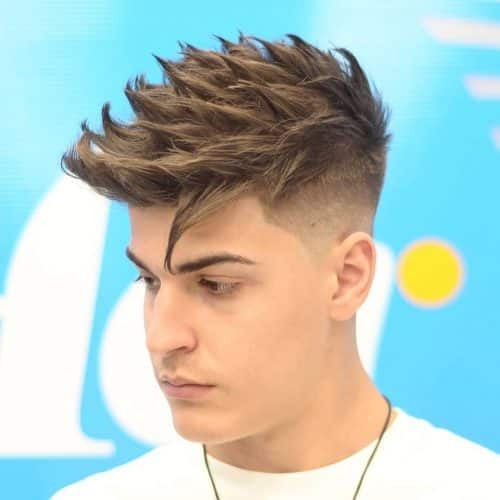 This style features a high textured top disconnected by a hard part and transitioned neatly to the skin. 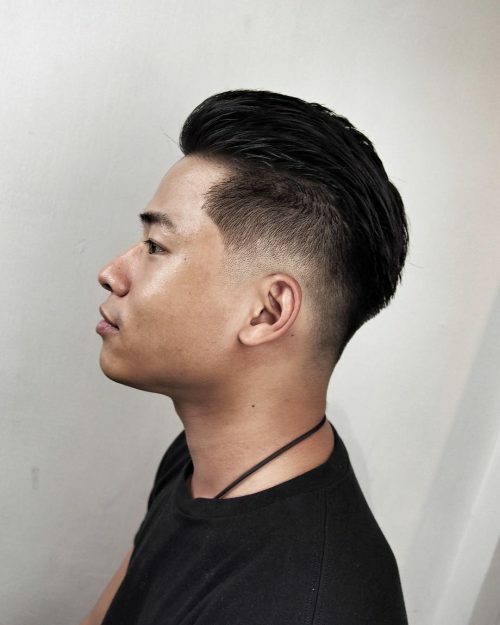 A generally low maintenance cut, this one’s a classic favorite for its vintage vibe. 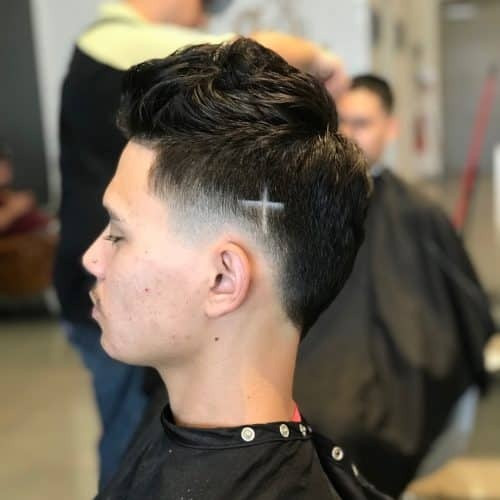 Perfect for guys who want a professional clean cut! These neat shaved-to-the-skin sides work so well because of the high-contrast effect they provide. 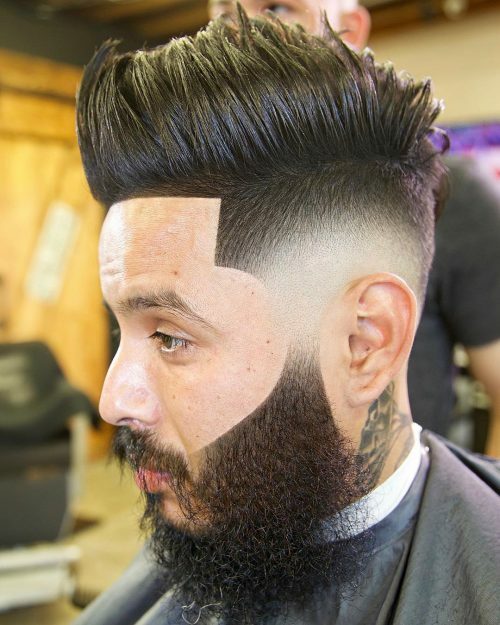 It allows you to create a super cool hairstyle plus a rocking beard! 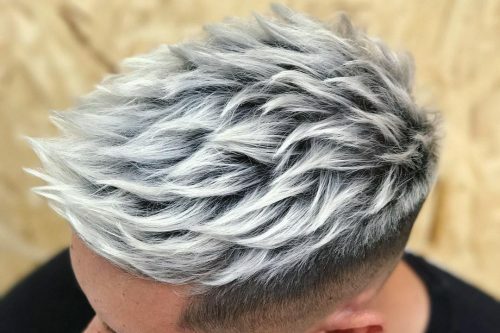 The play of texture in this super impressive style is trendsetting! 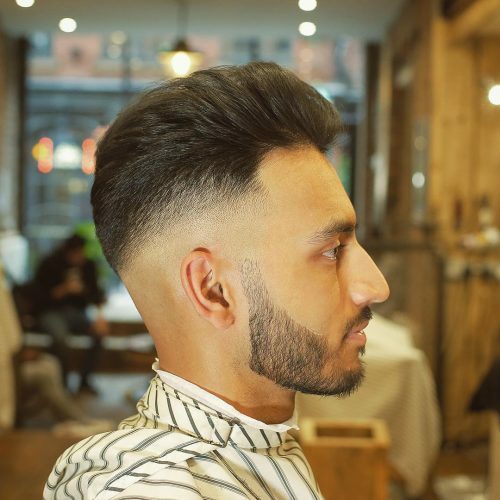 The sharp hair line plus the long beard and smooth top equals a look that will take you places. 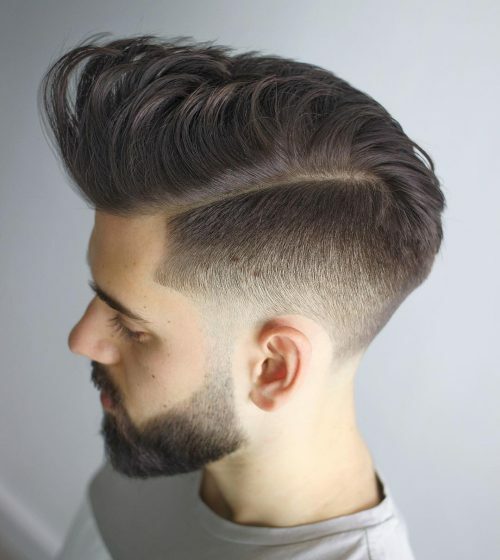 Look like a legend with this classic pompadour that stands out flawlessly! Perfect for mid to long hair. Take the bore away from your hair when you style it like this! Brush up and add your best holding product for a really cool and impressive output. This classic style complements textured hair superbly as it gives the whole hair a stylish neat finish. Refresh your look with this iconic short hairstyle that gives way to your hair on top and allows you to style it anyway you want! 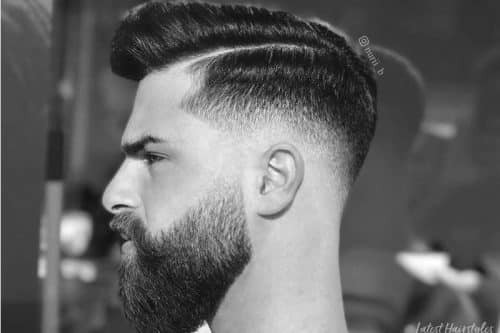 Plus those very clean sides accentuate a cool beard and mustache nicely. 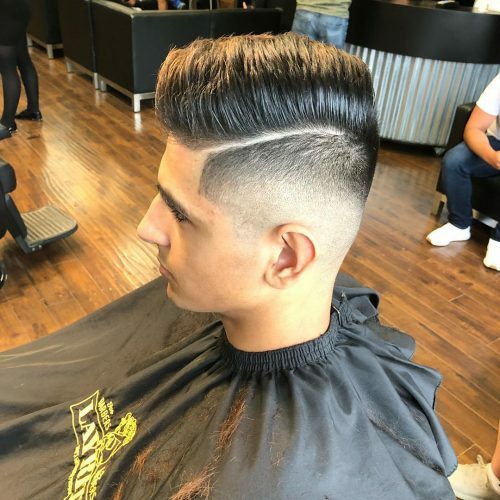 Nothing’s more stand-out when you do a classic pomp with a modern mid-skin fade! 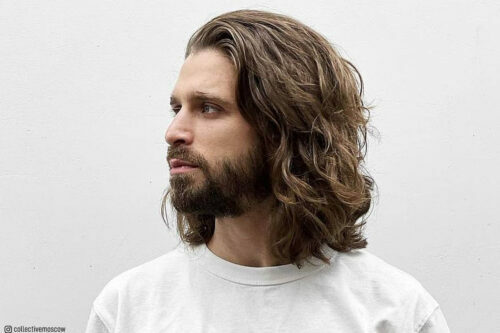 Plus a neatly shaped beard can improve your look. 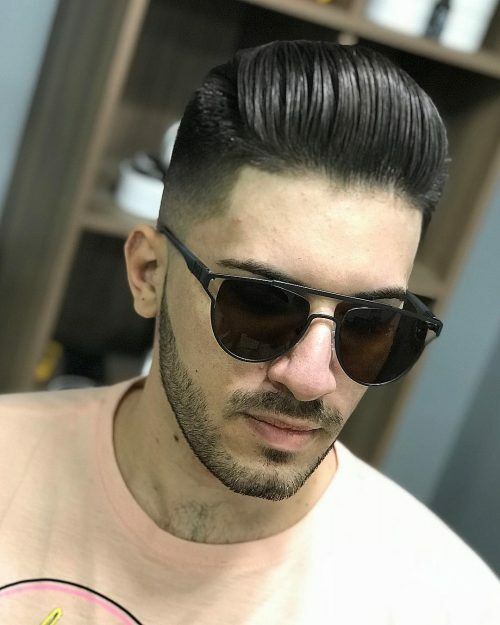 Definitely a funky cool guy look – add a little wave up to the front for a thicker hair illusion that can be emphasized more with a nice fade. 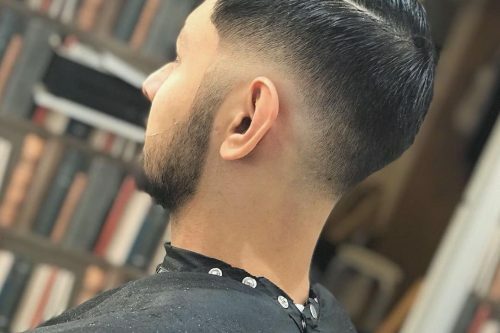 Getting a low skin fade with a brushed back thick and handsome hair will bring you all the attention you want. 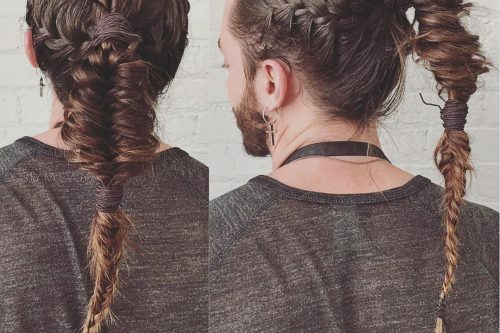 It’s a cool style to do if you have long hair that you want to control. 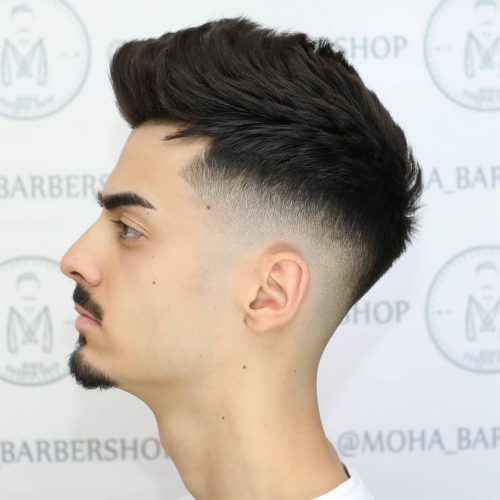 A sharp fade plus a thick surgical line equals a modern pompadour! 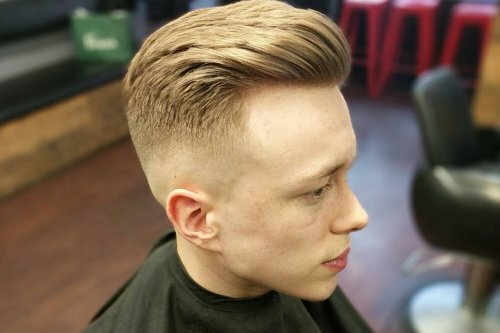 This line of style looks smooth especially on dense hair. 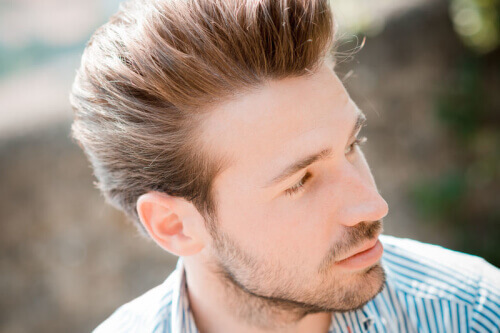 A simple and smart style – this hair is the one of the most classic look there is! 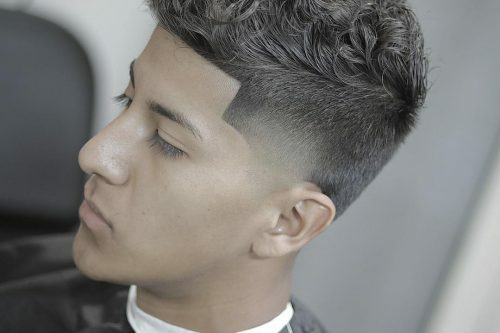 Brushed neatly to the back and highlighted by the cleanly shaved sides, your hair will truly look dimensional with this. 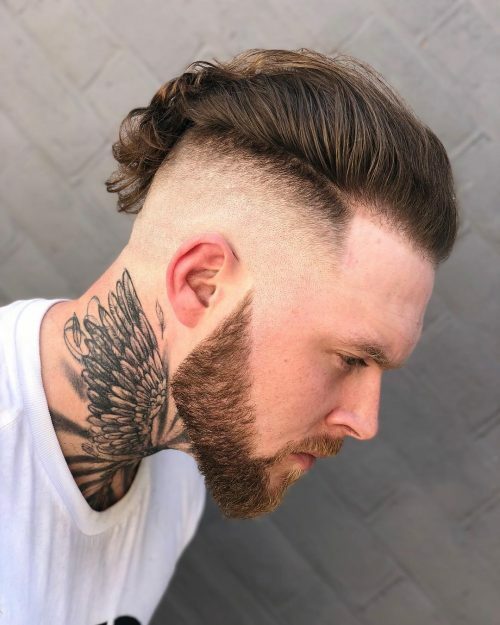 This haircut is what you would call a disconnected undercut. 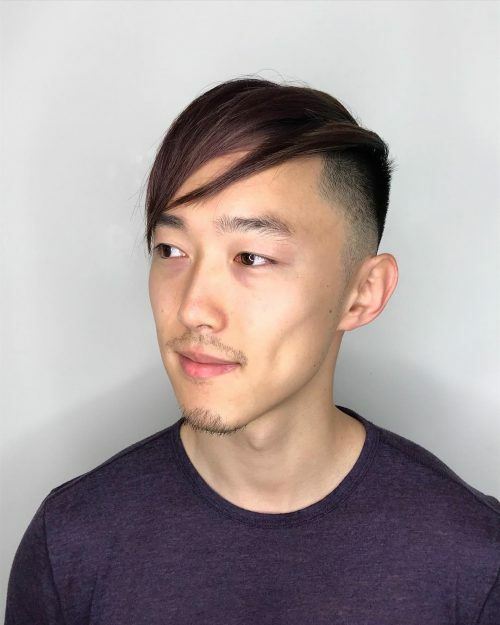 It’s one of my favorite looks for men’s hair! It’s a haircut that has a very sharp contrast between the very short sides and longer hair on top. 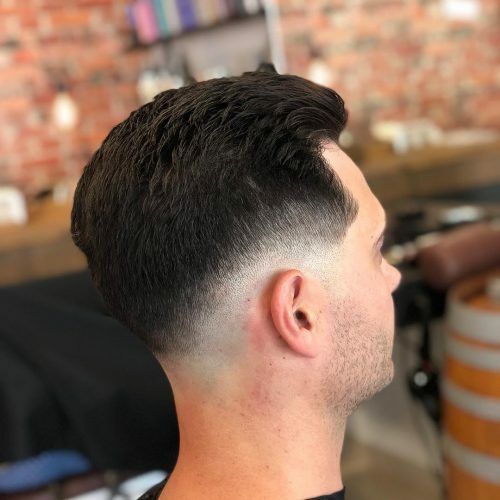 It’s a very clean cut but having the length on top allows for total versatility to match the mood of the day or the night! You can style the hair forward for a ‘lil mystery, slick it back for more of a suave a-la-Johnny Depp look, or go wild playing with texture! This high contrast sculpture is unique and memorable and would be recommended to a wearer who wants a classy, refined look. 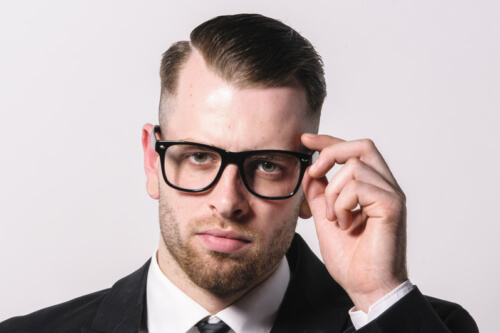 To style, dependent on your hair type and density, a gel or a pomade would be recommended. Gel if you want that strong molded controlled wet look or a pomade if you still want your hair to have some movement and look touchable! It’s the rugged look. The film “Thor” inspired me to create this look. 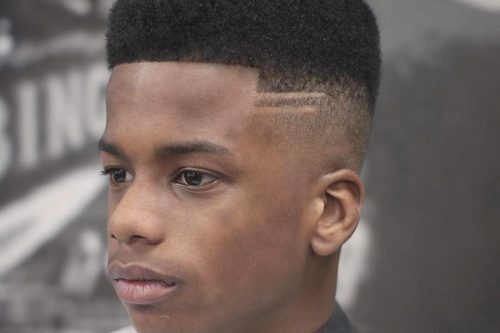 The thing I love about this style is that you can have it down when you’re just lounging about, and when you are out and about you can have it up to show off the fade that he had. Basically, the cut for me is versatile. 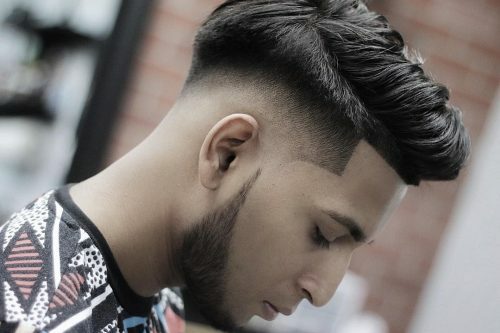 Have enough length to have the desired style. For products, I would use a matte clay to have a hold for the desired style. I used powder to give some volume as his hair was lacking volume. And to finish it off, I put hairspray to hold it in place. 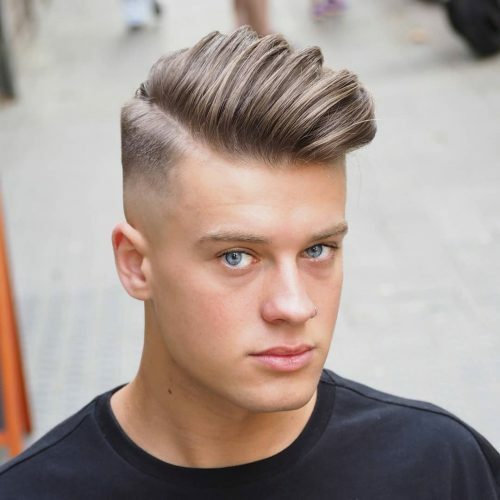 This short sides long top haircut is a mix between old school and new school. 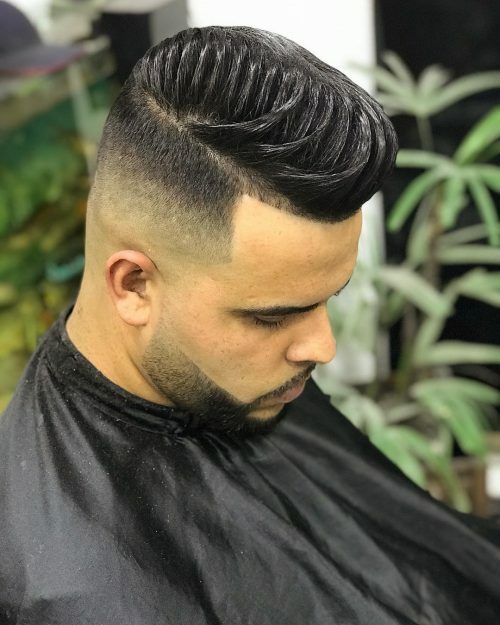 That is the exact reason I fell in love with barbering because of the school styles and ways of doing things, and to put my modern look into an old school combover pomp. 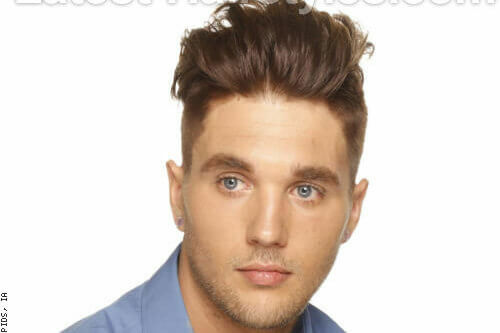 This hairstyle works best on people with thick hair. With thick hair, it’s a lot easier to style and hold into shape with a product. As for a product I would use Hanz De Fuko Gravity paste to give a medium hold with a matte finish. It has a very smart casual look to it. 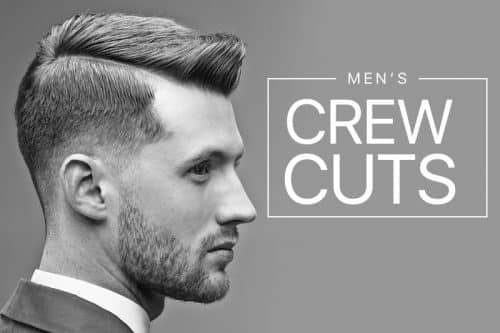 Whether you’re going to lunch or going to work, you will always look well-groomed and professional with this haircut.